Our school is coming up to its 50th birthday. 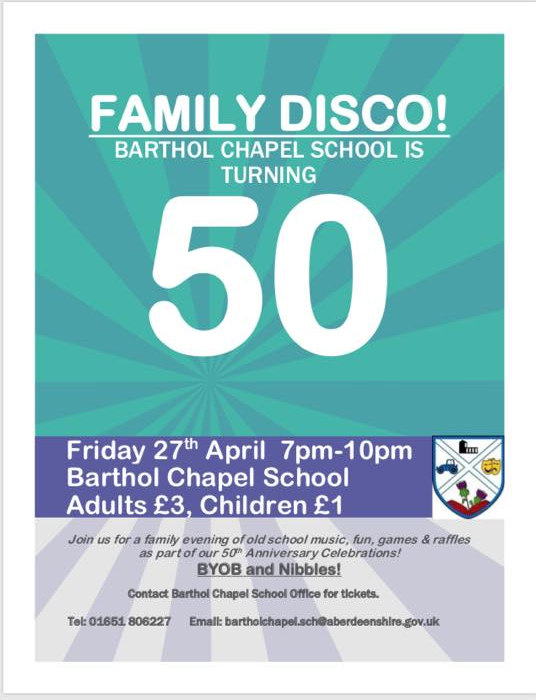 Its time for all to come and join our celebratory family disco event – Friday 27th April 2018. Get your tickets from the office at the School.